Liberal wins at Dodge for the first time since 2009. The Lady Redskins move to 3-0 in the WAC after a 44-32 win against the Lady Red Demons, snapping a 13 game losing streak against Dodge City. LHS rained in six of 10 from three point range. Liberal led 10-4 after one and led 27-12 at the half. Whitney Hay hit a career high 16 points and went 3-5 at the three point line. 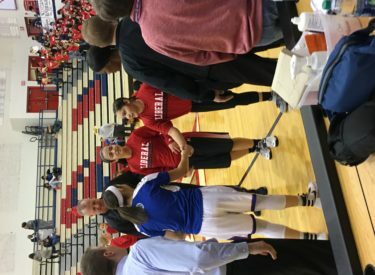 The Lady Redskins went 6-10 at the 3 point line. Liberal won despite going 12-23 at the free throw line and committing 19 turnovers.